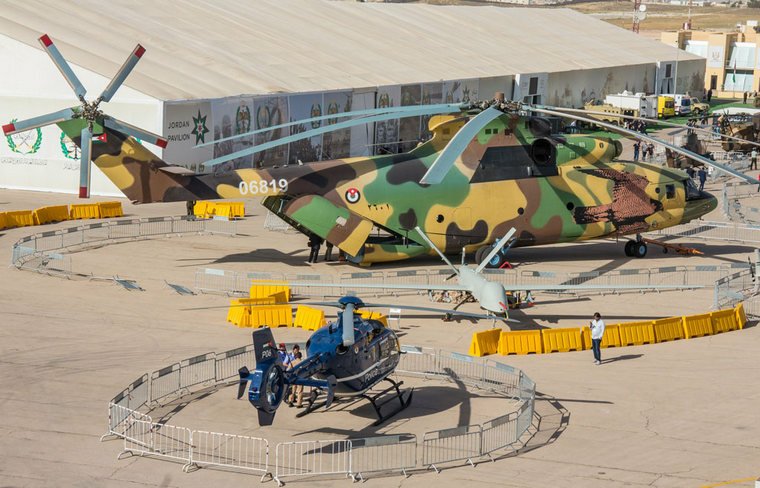 Sofex, official name of Jordan's special operations forces exhibition, was hosted at the King Abdullah I air force base outside Amman from 7 to 10 May 2018. 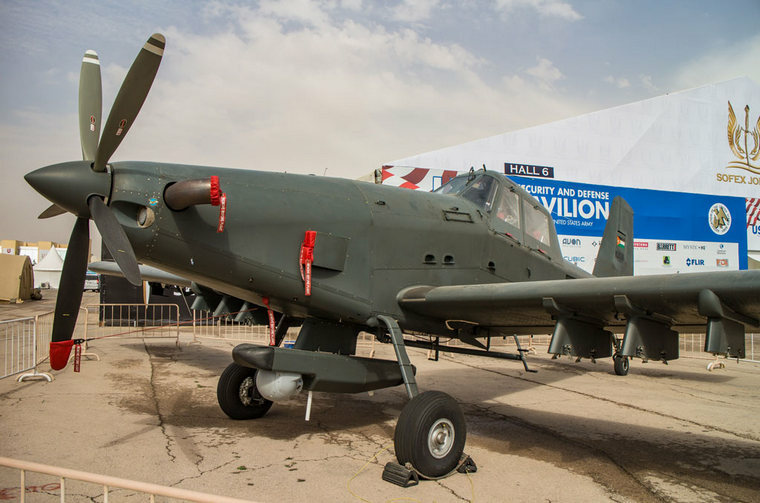 This 12th edition of the biennial event proved a surprise, with numerous new air assets for the Royal Jordanian Air Force (RJAF) on show. 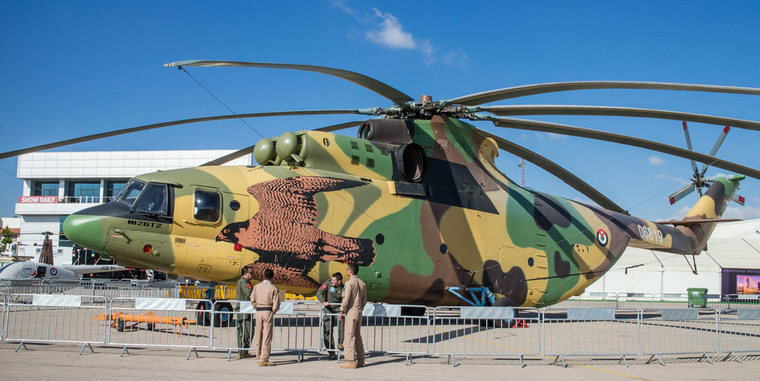 A recently delivered MIL Mi-26T2, the world's largest helicopter, literally dwarfed all aircraft in the static display. Built by Rostvertol, part of Russian Helicopters, it is the first of four to enter service with the RJAF. It features a glass cockpit with five multifunctional displays, upgraded navigation system and digital autopilot. The new avionics suite enables the T2 version to operate with a crew of only two. An additional operator is used when external cargo is lifted. This helicopter can transport 82 troops or lift 20 tons of equipment, including vehicles. At the opposite scale was the PZL Mielec/Sikorsky M28 Skytruck utility transport aircraft. 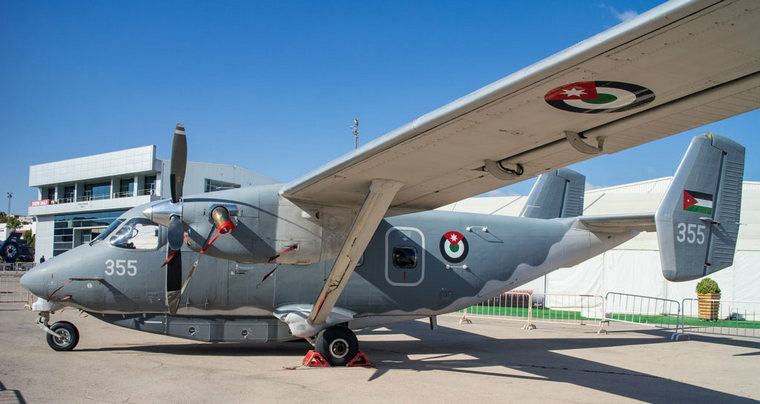 Derived from the Antonov An-28, the Polish-built Skytruck on display is an upgraded version for tactical operations, specifically for Jordan's Quick Reaction Force. As a STOL aircraft it takes off in 1 800ft (550m) and has a maximum payload of 2 300kg. 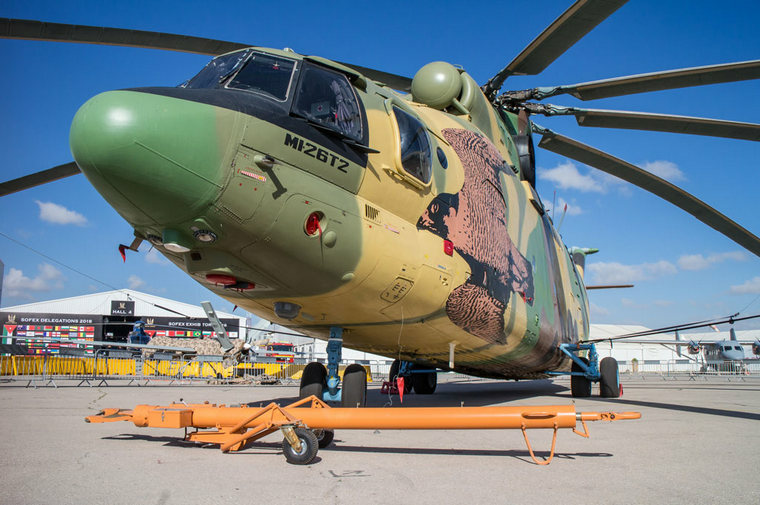 PZL Mielec is now part of Sikorsky, in turn owned by Lockheed Martin. The factory produces 10 M28 aircraft per year. 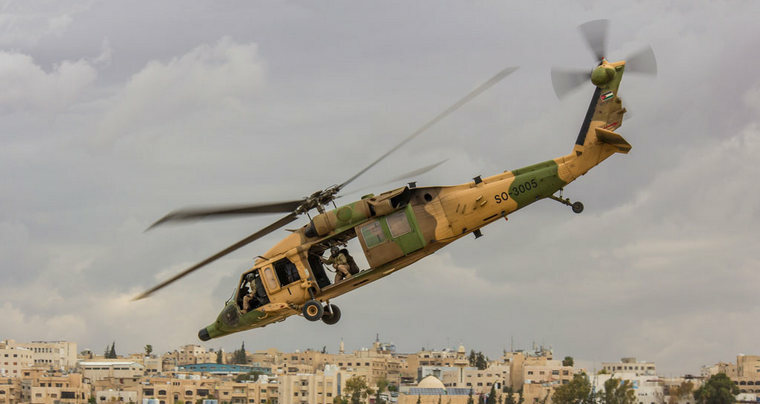 Jordan's Quick Reaction Force also uses the Sikorsky UH-60A Black Hawk, acquired from the United States as former US Army assets. 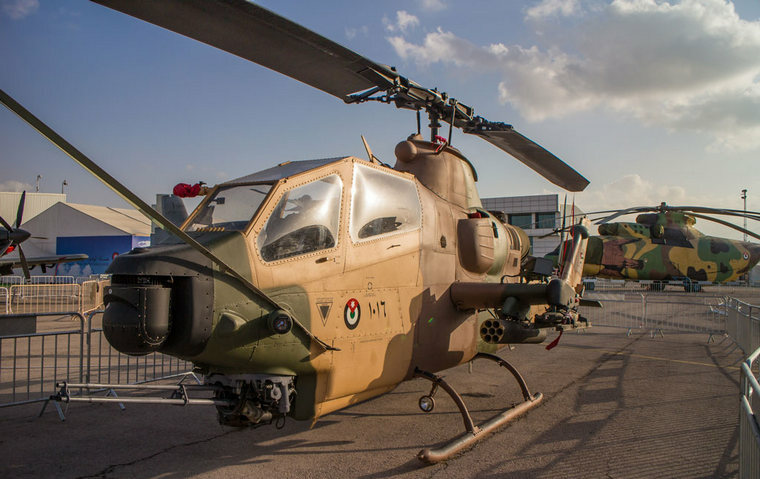 These were upgraded, like the RJAF's Bell AH-1F Cobra's the first of which was shown at Sofex. 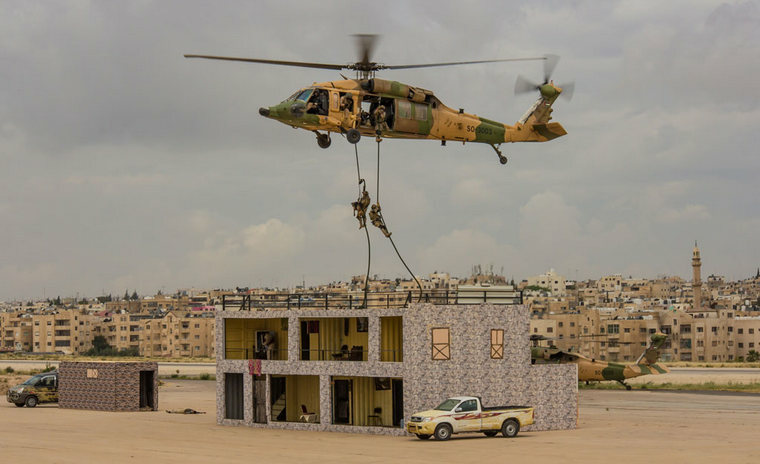 In a spectacular opening ceremony, Jordan's special operations forces neutralised a group of 'insurgents', using an array of air assets, including the Cobras and a different model of Black Hawk, i.e. the Sikorsky UH-60L Black Hawk. 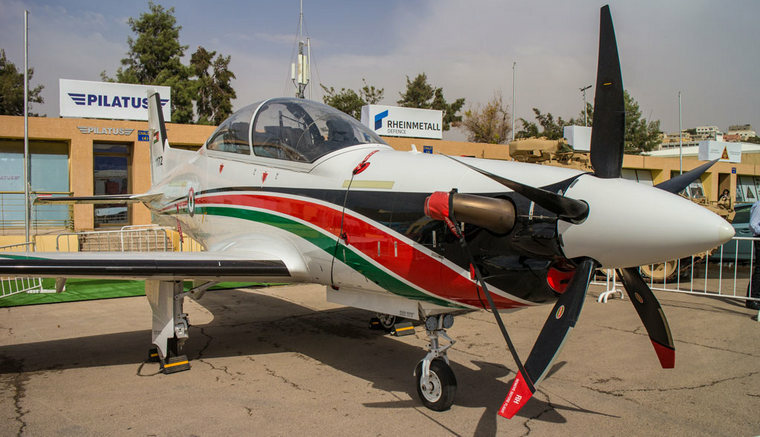 The RJAF also recently acquired the Air Tractor AT-802i, an armed configuration developed by IOMAX USA, for the United Arab Emirates, which provided several aircraft to Jordan. 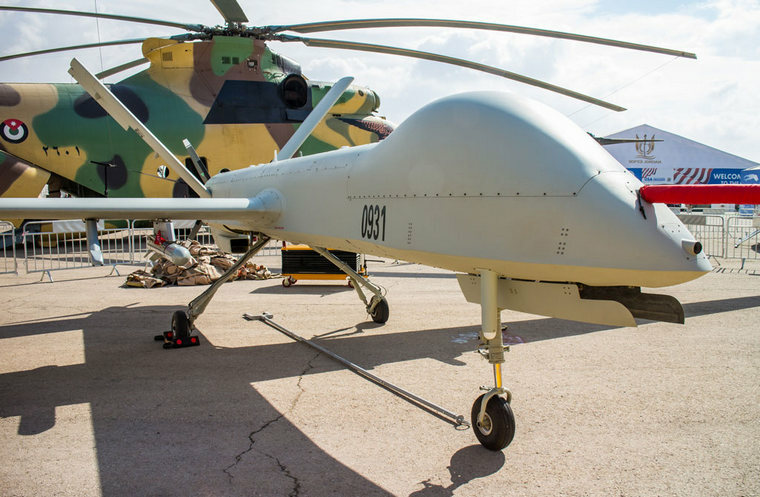 Jordan's new Chinese-built CH-4B armed UAV was shown for the first time. With a wingspan of 18m and payload of 345kg, it has endurance of 40 hours, operating at 23 600ft (7 200m). 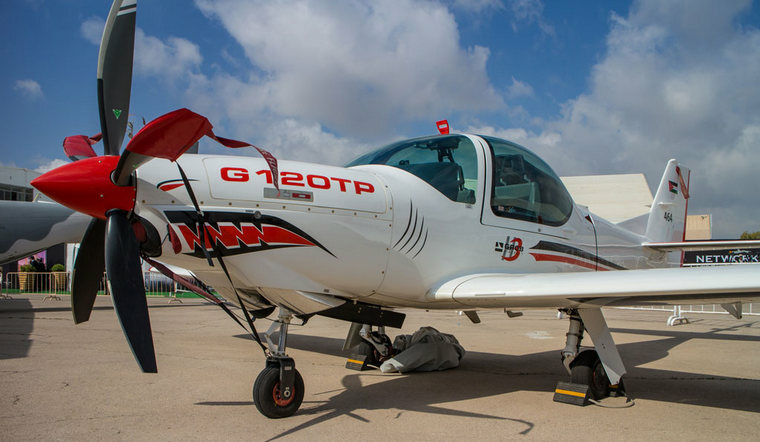 For training, the RJAF has now acquired the Grob G 120TP with glass cockpit to progress students on to the new Pilatus PC-21. Rotary wing training is done on the Robinson R44 Raven. 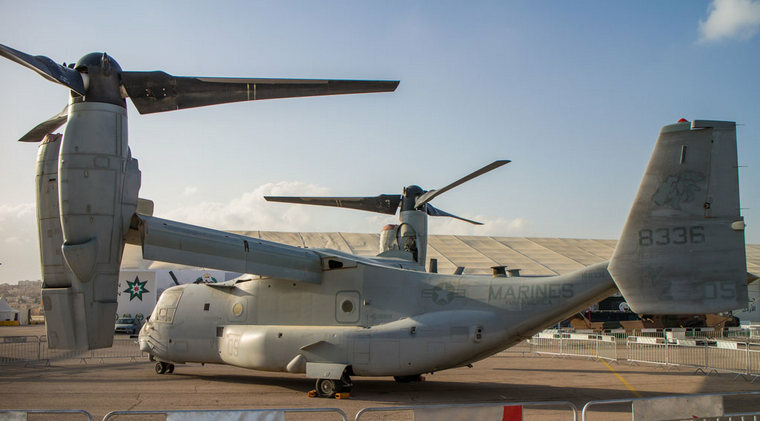 An interesting visitor was the US Marine Corps's Boeing-Bell MV-22 Osprey, which was on static display. An annual Warrior competition not part of Sofex took place just before the show. Participanting teams from 25 countries competed on shooting skills, cross-country and obstacle courses, as well as moving heavy objects and team work. Several aircraft transporting the teams landed at the King Abdullah I air base, where Sofex show participants snapped photographs of the departing aircraft. These included an Airbus C-295 of the Czech Air Force. A Sudan Air Force Antonov An-12, a C-27J Spartan of the Hellenic Air Force of Greece and a KC-130J tanker of the Kuwait Air Force. Lebanon's 'Black Panther' SWAT team came out tops in this year's Warrior competition.